Wine Tasting Along The Avila Wine Trail | Beach. Wine. Divine. Why should every wine lover know about Avila Beach wine tasting? Enjoy this post? COME LIKE US ON FACEBOOK! Located equidistant from The San Francisco Bay Area, the greater Los Angeles Area and the Central Valley is one of California's best-kept wine tasting secrets: Avila Beach. Avila (pronounced À-Va-Luh) offers the perfect blend of a beautiful ocean beach, balmy climate (average winter temperature is 67°; average summer temperature is 72°), resort-style hotels, delightful ocean-front restaurants, and outstanding wineries. The Avila Wine Trail (AvilaWineTrail.com) is composed of eight wine tasting venues – a perfect weekend getaway for wine tasting. Each winery offers exceptional vintages with grapes either grown locally or sourced from premier vineyards from Paso Robles to Santa Barbara. All of the wineries are small, family-owned and operated and each winemaker brings a unique point of view to their wines. On any given day there is an excellent chance that if you visit one of the tasting rooms, you will be chatting with the winemaker or one of his/her family members! From Italian-style Barberas to robust Rhones, Spanish-influenced Tempranillos and beautiful Burgundies and Bordeaux, there is a wine for every palate on the Avila Wine Trail. Just steps from Avila's beachfront promenade, features award-winning, Italian-style wines, and a relaxed setting. Their wines are approachable and easy-drinking, using premium grapes from N. Santa Barbara County. At Morovino, the mood is fun and upbeat and the vibe is beach casual. The tasting room is filled with local art, and they also feature live music on a regular basis. This Avila Beach winery focuses on high quality, very small lot wines. The wines are a result of their own detail-focused winemaking and high-quality farming practices – the proprietors own one of the Central Coast's premier vineyard management companies. The tasting room brings together their love of wine and cycling in the décor and accessories. Fans of Avila Beach wine tasting know that Alapay Cellars has been serving Avila Beach wine tasters for over 14 years. Their multiple award-winning selections include Sparkling, White, Red, and Dessert wines. Winemaker/owners Scott and Rebecca Remmenga make distinctive French Oak aged wines and pride themselves on offering something perfect for every palate. Their tasting room offers a selection of personally curated wines from the Central Coast, N. California, and select international wines. Whether you are wine tasting or enjoying wines by the glass or bottle, the environment is relaxed, fun and informative. Avila Wine Company also offers craft beers and small bites. The name of this Avila Beach wine tasting spot, loosely translated from Latin, means true colors. And the goal of the winemakers is to allow each vineyard to reveal its true and unique colors. Croma Vera specializes in Spanish varietals such as Tempranillo and Albariño and also offers Grenache, Cabernet Sauvignon, and blends. The Croma Vera tasting room is spacious with several seating areas ideal for small groups. Pinot lovers will want to know that this winery was founded in 1997 by Mike Sinor (self-avowed “Pinot Guy”) and Cheri La Vallee-Sinor. Sinor-Lavalle wines are produced from the grapes of their estate vineyard near Avila Beach. Their focus is on the terroir of their estate vineyard and showcasing those unique influences in the wines they produce. The quaint Kelsey See Canyon Vineyards is nestled in the See Canyon just a few minutes drive from downtown Avila Beach. In addition to Kelsey's award-winning wines, their unique apple-grape blends and hard ciders pay homage to See Canyon's apple-growing heritage. Kelsey offers both indoor and outdoor wine tasting and a bevy of peacocks to serenade you while you taste.  A new addition to the Avila Wine Trail, Silver Horse Winery was established in 1996 and was a staple in the Paso Robles wine region for more than 20 years. The new Avila Beach tasting room is located in a 100-year-old school house just minutes from downtown. The tasting room is warm, authentic and inviting and the outdoor patio area is great for small groups. In addition to great wineries, Avila is home to intriguing shops and galleries as well as a multitude of beach-oriented recreation. Activities in and around the community range from golf on a par-71 course to stand up paddle boarding, surf lessons, whale watching, kayaking and fishing. For more relaxed diversions, dine at one of the exceptional local restaurants or enjoy a spa retreat and a soak in a mineral hot springs. Are you traveling to Avila Beach with little ones? Make sure you stop off at the Avila Valley Barn. This is a slice of rustic heaven with chickens, goats, horses, and cows ready to be fed and petted. Children will also appreciate the delicious ice cream. This is also a great place to stock up if you plan on cooking during your visit. Foodies will appreciate the Ocean Grill (oceangrillavila.com) – an ocean-front restaurant featuring seafood, local produce and steaks grilled to perfection. The Ocean Grill, like all restaurants in Avila, will waive corkage fees on a local bottle of wine. 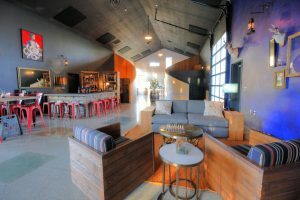 For overnight accommodations, you can check out the Avila La Fonda hotel (avilalafonda.com), a boutique hotel with an early-California aesthetic and a commitment to an exceptional experience. From breakfast croissants to the nightly Manager's Wine Reception and evening pie and ice cream, the Avila La Fonda hotel offers old-world service with contemporary amenities. You should also consider the Avila Beach Lighthouse Suites. This is a great spot to stay with the whole family. The hotel is right across from the beach. You can book a room with an ocean view or one that overlooks the pool. Leave your slider open and fall asleep to the sound of waves crashing! The hotel has some nice features like complimentary breakfast, ping pong, a putting green, and hot tub. Like most of the hotels in Avila Beach, you can walk to the winery tasting rooms from your hotel. The front desk is very helpful and they keep a nice supply of wine in case you don't make it to the tasting rooms in town. We hope you get a chance to go wine tasting in Avila Beach. This quaint beachfront community has a lot to offer wine lovers and their fellow travelers. We consider this one of the great "hidden gems" of California's wine scene. Between the high-quality wineries, the beach, and the great food, there is so much to love here!